Swedish band Takida are one of the first Scandinavian bands to use Midas’ PRO 2 consoles for FOH and monitors on their tour this Spring. The band are currently touring their fourth studio album The Burning Heat (2011), which topped the Swedish charts on release and produced singles such as "Was It I", "Haven Stay" and "You Learn" (see video below). 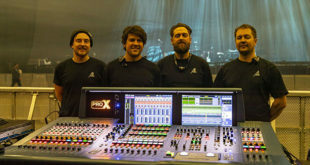 Leading Scandinavian hire company Starlight, which purchased the PRO2s from Midas’ Swedish distributor Intersonic, is the first company in the region to use a dual system on a tour. 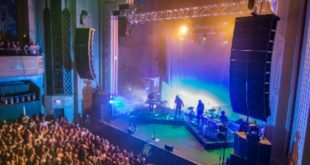 "Overall the system is very stable, and I really feel I can fully trust it,” said monitor engineer Robert Egnelius of the console. “The POPulation and MCA groups are two excellent features I use a lot, they make accessing channels very quick and effective. As well as being easy to use, the PR02 sounds very good and has wonderful EQ and dynamics. I like the patching, and the fact that I have control over what to patch to the outputs. The assignable XLRs on the network effectively give me 16 XLR outputs on the control surface and another 16 on the stagebox." 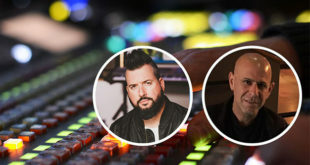 He added that the band themselves have commented that both the monitor and FOH sound is excellent with the Midas PRO2s.